Plimpton also served as a volunteer for Robert Kennedy's 1968 presidential run and was walking in front of him as the candidate was assassinated in the kitchen of a Los Angeles hotel. Plimpton was known as a "participatory journalist". In order to research his books and articles, he quarterbacked in a pre-season NFL game, pitched to several all-stars (retiring Willie Mays and Richie Ashburn) in an exhibition prior to Baseball's 1959 All-Star game, performed as a trapeze artist for the Clyde Beatty-Cole Brothers Circus, and fought boxers Archie Moore and Sugar Ray Robinson. Plimpton was alson known by the nickname the Prince of Cameos for the amount of work he did in films, playing small parts and screenwriting. He was inducted into the American Academy of Arts and Letters in 2002. Within a month of the academy induction, the French made him a Chevalier, the Legion of Honor's highest rank. The Guild, an arts organization based on Long Island, gave him a lifetime achievement award. Plimpton was also a member of PEN; the Pyrotechnics Guild International; the National Football League Alumni Association; and the Mayflower Descendants Society. In 2003, Plimpton decided to write his memoirs, signing a $750,000 deal with Little, Brown and Co. Before he could finish, George Plimpton died, on September 26, 2003 of natural causes at the age of 76.Derek Walcott was born on January 23, 1930 in Castries, St. Lucia and was educated at the University of the West Indies. Walcott taught at schools in the Caribbean and wrote features for Public Opinion in Kingston, Jamaica and the Trinidad Guardian. He is the founder of the St. Lucia Arts Guild and a professor at the University of Boston. 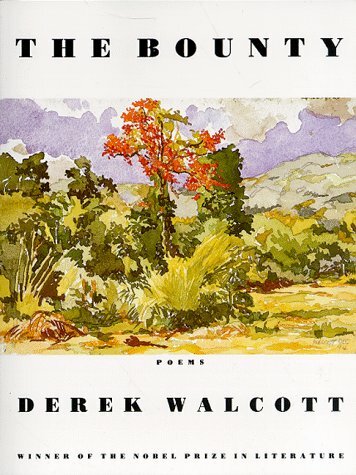 Walcott became internationally known for his poetry and drama writing in the book, In a Green Night. For his writing, Walcott received a five-year fellowship from the MacArthur Foundation, the Queens Medal for Poetry, and the Nobel Prize for Literature in 1992. In 2011 he won the T. S. Eliot Prize for his poetry collection, White Egrets.